Jennifer’s concert will invite outstanding local singers who have achieved a level of excellence in her Vocal Masterclass to join her evening concert. 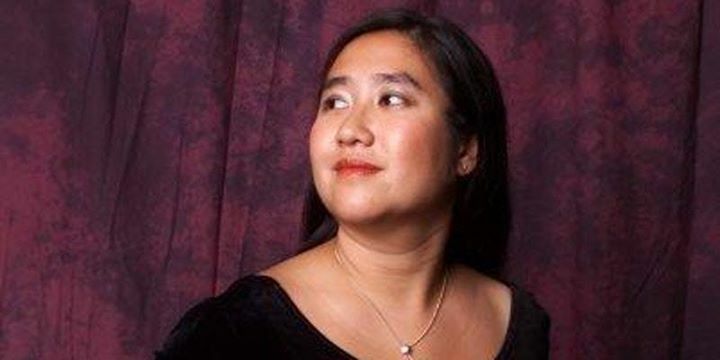 Jennifer Tung, currently the vocal department coordinator, vocal coach and faculty of the Glenn Gould School of the Royal Conservatory of Music in Toronto, Jennifer is one of the most sought after collaborative pianist, teacher and soprano in Ontario. Having received a Bachelor of Music in Vocal Performance and a Master of Music in Piano Accompanying and Chamber Music from the world renowned Eastman School of Music, Jennifer’s versatility has allowed her career to develop in very unique ways. As a singer, she has collaborated with the Hong Kong Philharmonic Orchestra, St. Paul’s Festival Orchestra, Rochester Chanber Orchestra, Toronto Sinfonietta, Mississauga Symphony Orchestra to name a few. Passionate fort the art of recital as both a singer and a collaborative pianist, Jennifer has performed recitals across North America and around the world from Toronto, Chicago, Los Angeles, Malibu, Waimea (Hawaii) to Alderburgh and Hong Kong. An advocate of contemporary music, she was appointed as the repetiteur and pianist for the inaugural season of the Tapestry New Opera Studio. She has also worked closely with renowned contemporary composers such as Tom Cipullo, Ricky Ian Gordon, John Harbisonl Jake Heggie, Ben Moore and John Musto. As a vocal coach, Jennifer has served as music director for Toronto’s Summer Opera Lyric Theatre and has directed Mozart’s Don Giovanni, Die Zaubeflote, Le Nozze di Figaro, Verdi’s La Traviata and Offenbach’s La Vie Parisienne and has worked with world renowned collaborative pianists such as Margo Garette, Graham Johnson, Martin Kratz and Roger Vignoles. She has presented master classes in Toronto, Los Angeles, Riverside and Irvine and has severed on faculty in summer programs across North America and in Europe such as Hawaii Performing Arts Festival and Vianden Music Festival in Luxemberg. She is currently the Director of the Intern Program for Songfest@Colburn in Los Angeles.